Who says charitable causes have to be Spartan and boring? Increasingly, many charities are capitalizing on Indian-American affluence and using glamour, celebrities, privilege, and entertainment to fund their causes. Here’s an up-close look at how the rich and famous are banding together for the benefit of the poor and afflicted. How would you like to hobnob with the ever charismatic, ever friendly former President Bill Clinton? Meet former First Daughter Chelsea Clinton on board the warship Intrepid? 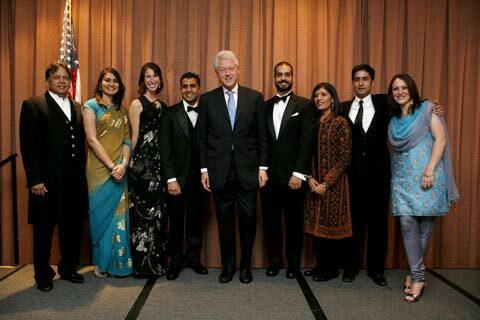 Perhaps rub shoulders with corporate superstars Indra Nooyi of PepsiCo and Ajay Banga of Mastercard? Or Indian barons like Mukesh Ambani? Chat with celebs like Salman Rushdie, Mira Nair, Shabana Azmi, or Jhumpa Lahiri? 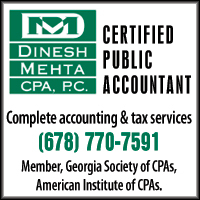 Pose for a picture with Miss America Nina Davuluri? That’s life in the gala fundraiser circuit in the U.S.—where you can actually feel good about social climbing and celebrity chasing. After all, you become part of a machinery that’s raising millions of dollars for some of the most pressing needs of the less fortunate in India and the U.S. While most elite private clubs exist for personal gain and professional networking, the remarkable aspect about these glamorous galas is that they don’t monitor the graphs of big business or mergers, but rather, generate large sums of donations for those who need it the most. You could call these initiatives the Do-Gooders’ Billion Dollar Club, which, through high profile events, get high net worth individuals and corporations to write large checks for providing education, food, medical procedures, clean water, and a lot more for those who would otherwise have no hope for these. Several nonprofit organizations like American India Foundation (AIF), Pratham-USA, Akshaya Patra Foundation, and Share and Care Foundation help channel wealth from Silicon Valley and Wall Street moguls to the villages and slums of India. While glamour and glitter may be the motivation for many who attend these events, underlying is usually a founder or founders who are truly inspired to make an impact on the lives of those who are less fortunate. In a moving speech at this year’s gala at New York City’s Capitale in Manhattan, Sam Desai of the Desai Foundation explained his impetus behind his Foundation and the work it does in rural India: ““I was born and brought up through high school in a village. There was no electricity, running water, paved roads, motorized vehicles, or many things that we take for granted. For example, playgrounds, toys, pre-school and Kindergarten learning, or a library, showers, good toilets, and the telephone were nowhere to be found.” Now that abundance characterizes his life, he feels obliged to share his good fortune. The attendees at his gala—high-profile entrepreneurs, regional and national community leaders, technology and entertainment industry moguls, filmmakers, and musicians, among others—are all ready to help whether it be with their checkbooks or their celebrity statuses. When one of the world’s richest diaspora communities undertakes charitable causes to benefit some of the neediest, it is already a potent formula. Add to it the exchange rate differential, and pretty soon landscapes and lives can be transformed in a massive way. America’s reputation for being the most generous nation in the world is widely acknowledged. 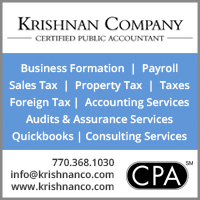 In fact, according to a study conducted by the Center on Philanthropy at Indiana University, it is estimated that the projected charitable contributions from 1998 to 2052 will total between $21.2 to $55.4 trillion. The figures of charitable giving in the U.S. are larger than the GDP of some nations! Who can forget Warren Buffett’s gift of $43.5 billion in Berkshire Hathaway stock to charities, including $31 billion to the Bill and Melinda Gates Foundation—the largest single charitable gift in history? Three Indian-American business moguls—Vinod Khosla, Romesh Wadhwani and Manoj Bhargava—have signed up with Giving Pledge, founded by Warren Buffett and Bill and Melinda Gates, a commitment by the world’s wealthiest individuals and families to dedicate the major part of their wealth to philanthropy. While most individual Indian-Americans are nowhere near those levels when it comes to giving, they have collectively given millions of dollars to causes in India and the U.S., including establishing chairs at American universities. Fundraising with fun, food, and fanfare! The fundraising gala has been a staple of American philanthropy, serving the dual purpose of raising funds for important causes, while also allowing opportunities for the upwardly mobile to network and form connections. Glamour and style are the hallmark of these events, organized at upscale venues with celebrity guests, dinners by noted chefs, and entertainment by big names. The cost of these indulgences are typically underwritten by supporters and sponsors. They draw inspiration from the American foundations which use the gala model with their high net worth supporters to raise huge amounts. The Lincoln Center for the Performing Arts, for instance, holds eight to nine galas a year to raise funds in New York City. Recently, the Robin Hood Foundation raised $60 million in just one evening. 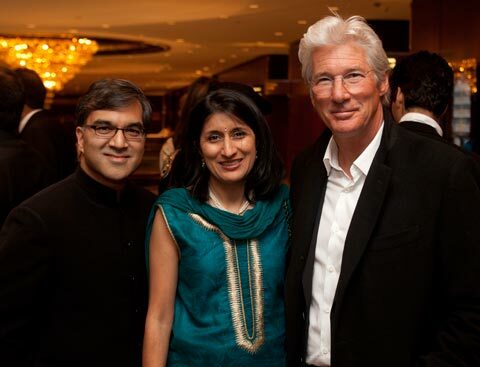 AIF fundraisers have raised the bar for bragging rights with high profile guests like President Clinton, Mukesh Ambani, prominent Indian socialites and philanthropists Adi and Parmeshwar Godrej, and CEO of GE, Jeffrey Immelt. Gala committees often chaired by ex-Citibank Chairman Victor Menezes have been graced by top names in American finance and business. Food and film personality Madhur Jaffrey is an AIF ambassador. Panel discussions hosted by AIF have seen the presence of heavy hitters like N. R. Narayana Murthy, Indra Nooyi, and Fareed Zakaria. At this year’s gala, Dinesh Paliwal, president and CEO, Harman International and his wife Ila were the co-chairs, and the honorees were Dan Hesse (CEO, Sprint) and T. K. Kurien, (CEO, Wipro Limited). With guests from the worlds of business, arts, and entrepreneurship, it was a power gathering in every sense of the word. AIF’s president Lata Krishnan, a hugely successful entrepreneur in Silicon Valley, has brought in passion and commitment to growing the organization. Some of the biggest fundraisers have been held in Silicon Valley, events with over 600 people, dancing and dinning, while collecting valuable dollars for valuable and pressing causes. 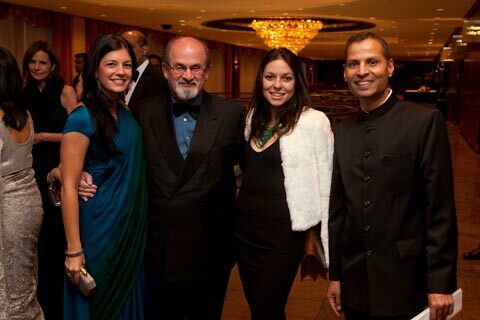 AIF’s most recent gala, with Cognizant Technology’s Frank D’Souza as guest of honor, raised over $1 million. Their locales are always stunning. The Chicago gala for instance, was organized inside the magnificent Union Station hall. Pratham is another powerhouse organization; its very active American base, Pratham USA, raised over $10 million in 2012. 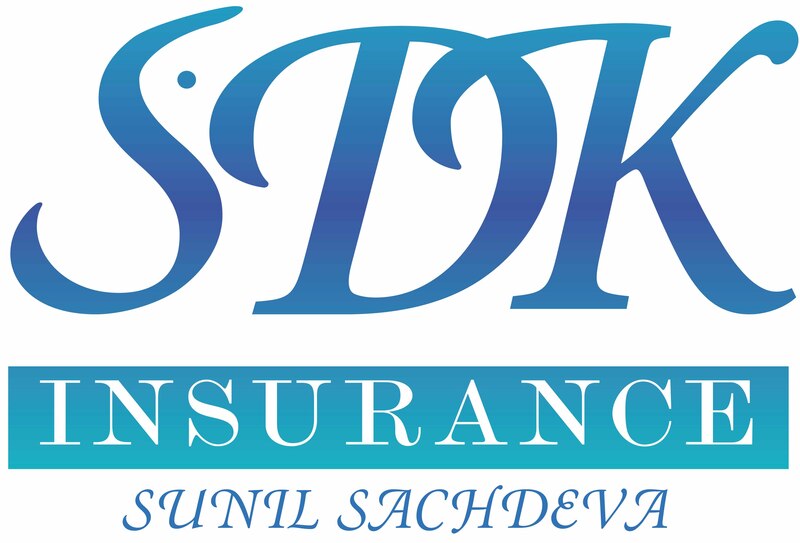 Committed to bringing universal literacy to India, its board is comprised of prominent corporate leaders, many of whom contribute $100,000 each to the organization’s programs. Pratham USA has on its board Dinyar Devitre, its chairman, a special advisor to General Atlantic Partners, a private equity group in New York and is a member of the Board of Directors of Altria Group, Inc. Some of the other successful Indian-Americans on the Board are Arvind Sanger, Jaideep Khanna, Vijay Goradia, Avinash Ahuja, Suren Gupta, Sudesh Arora, Paul Pandian, Deepak Raj, and Swatantra Jain. Fareed Zakaria recently joined the board. Pratham has 14 chapters across the USA and fundraising galas are held in most of these locations with high profile personalities from the worlds of business and the arts. Last year it held a dazzling gala on the warship Intrepid in New York harbor with Chelsea Clinton as chief guest, raising over $2 million. More grand galas are on the way this year, including one in Washington DC where Ajay Banga of MasterCard will be honored. Another event in New York will be held in the prestigious Museum of Modern Art where Fareed Zakaria will be the keynote speaker. U.S. Congressman Joseph Kennedy III and Miss America Nina Davuluri were the keynote speakers at the Boston gala fundraiser for Akshaya Patra Foundation USA. This U.S. chapter of the India- based organization raises about $4 million annually—ten percent of the $40 million raised by the parent body— which provides hot, nutritious school meals to more than 1.3 million underserved children in 9,500 government schools in India, operating from 19 centralized kitchens. 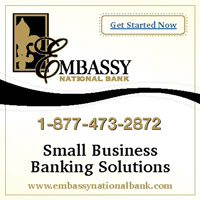 Some smaller organizations have also had stellar results, fundraising with theme-based galas and well-known personalities. Children’s Hope India, formed by NY women professionals, has worked in slums and villages for 21 years, creating health and education programs for needy children. It has held fashion galas with the top names from the Indian fashion world including Ritu Kumar, Suneet Varma, Rohit Bal, and Manish Arora. Its entertainment-filled “Evening in Mumbai” and “Viva Calcutta!” events have turned fundraising into fun-raising. Mira Nair, Jhumpa Lahiri, Princess Padmaja of Udaipur, Suketu Mehta, and Karan Johar have all been supporters. Last year, CHI honored Indra Nooyi of PepsiCo with its Special Impact award, with big names like Ajay Banga, Dinesh Paliwal, and Ajit Jain in attendance. The evening raised $500,000 with over $90,000 being raised in just ten minutes with a live auction of CHI projects by Christie’s auctioneer Sandhya Jain-Patel. As Indians increasingly assimilate into the social fabric of America, their involvement with mainstream museums, hospitals, and other institutions, in terms of generous donations, is also increasingly visible. In Chicago, Prabhakant Sinha became the Art Institute’s first Asian-American trustee and was the co-chair of the annual gala. Kant and his wife Anita have now created the Sinha Kikeri Foundation with $1.3 million earmarked for arts, education, and social justice projects. There is such an interest in giving that new foundations are proliferating in the USA. Meera Gandhi’s Giving Back Foundation held its first gala at the Pierre Hotel in New York, honoring Barbara Tober, Museum of Arts and Design’s Chairman Emerita, along with Nimesh Kampani, Chairman of the JM Financial Group, with Phylicia Rashad and Ajay Hutheesing among the guests. While the tradition of giving was ingrained amongst Indians, the community here is pushing the envelope in philanthropy. What’s more, it is having a gala time doing just that. Lavina Melwani is a New York-based journalist who blogs at www.lassiwithlavina.com. Twitter @lassiwithlavina. Google +. 1. Largest Amount Raised: $3 million at AIF Gala at Waldorf Astoria with Mukesh Ambani and Jeffrey Immelt of GE. 2. Most Popular Guest: President Bill Clinton (AIF). 3. Most Unusual Locations: Aboard the mighty aircraft carrier Intrepid which saw action in World War II (Pratham USA) and in the lobby of the historic Union Station in Chicago (AIF ). 4. 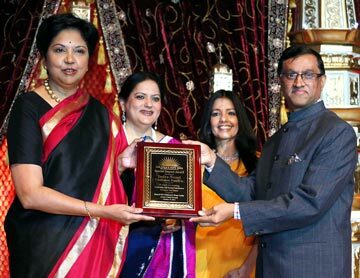 Best Keynote Speech: Indra Nooyi of PepsiCo (Children’s Hope India). 5. Most Creative Menus: by Celebrity Chefs Vikas Khanna of Junoon, Hemant Mathur of Tulsi, and Jehangir Mehta of Graffiti (Pratham USA and AIF). 6. Best Live Auction Prize: VIP Tickets to the Grammys—sold for $20,000 (AIF). The newest battalions of do-gooders are the young who grew up with American norms of fundraising. Starting from Girl Scout cookies, walkathons, and yard sales, giving back has been ingrained in communities at school and play. Almost every Indian nonprofit organization, be it AIF or Share and Care, has a tier of young professionals who having experienced these rituals firsthand. They bring American energy and know-how into the organization. Many young Indians have also started their own organizations to help the cause of health and education in India, such as Asha for Education and the Nanubhai Education Foundation. The galas attract younger Indian- American celebrities. 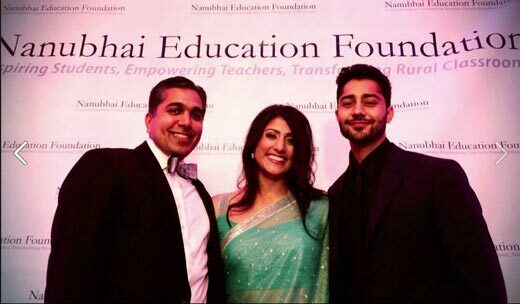 The Nanubhai Education Foundation has Manish Dayal (of The Hundred Foot Journey) as its spokesperson. Kal Penn, Sendhil Ramamurthy, Maulik Pancholy, Aasif Mandvi, and Melanie Kannokada are big supporters. These fun events in buzz places like the Chelsea Art Museum and the Angel Orensanz Center attract young supporters. Here, writing checks for causes becomes a way of life for many young professionals who also take advantage of matching fund donations at their place of work. CH2 is the junior arm of Children’s Hope India and has raised five figure amounts with its art gallery receptions and music parties in lounges. The Empire State Building was recently lit up with a very different kind of light—the light of giving—when CH2 held a swinging cocktail soiree for over 300 supporters. The goal of this fun evening was to raise funds to correct and prevent blindness in children in India through the K.K. Eye Institute of Pune. Indeed, CH2 has found a novel way of turning the quintessential New York party into a vehicle for creating good karma. Drinks, food, and shopping all became a way of raising funds, with noted restaurateurs and retailers donating goods. And now there is CH3, a group of teens who have been raising surprisingly good amount of money through pizza fundraisers and other uniquely American ways of helping those in need. They were able to raise over $12,000 and will be sending three kids to the eight-week Young People’s Day Camps this summer.